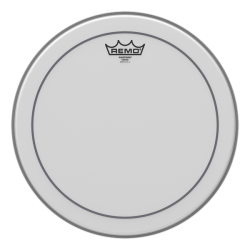 A fat, warm sounding drumhead, with no overtones and a very short sustain. 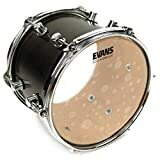 Evans Hydraulic heads have the thick sound of 70’s rock. 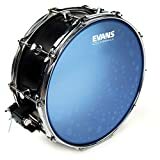 Evans Hydraulic drumheads are made with two plies of 7mil* film, and a unique later of oil between these two plies. The oil provides a very high amount of dampening across the entire drumhead. 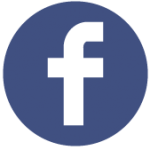 The result is that overtones are almost nonexistent, and the sustain is very short. 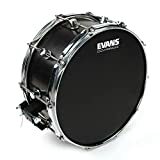 The sound of Evans Hydraulic heads is very warm, deep, and punchy – if you’re looking for a 70’s rock sound for your drum kit, these drumheads are perfect. 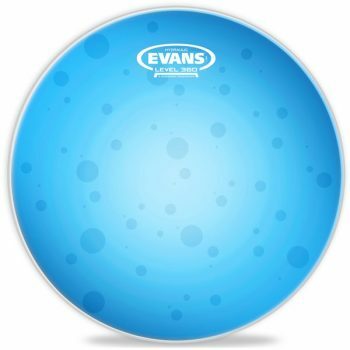 When first hit, Evans Hydraulic drumheads give a good amount of balanced-bright attack, which is very quickly followed by a deep short thud. 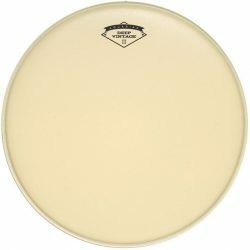 The tone is very warm, making these drumheads great for toms. 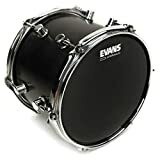 Tuned low, you’ll get a fat and very focused sound. 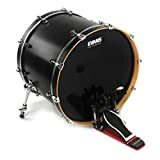 There is slightly more sustain when tuned higher, but the overall sound is still extremely focused… Ringing overtones are almost entirely removed from the drum sound. 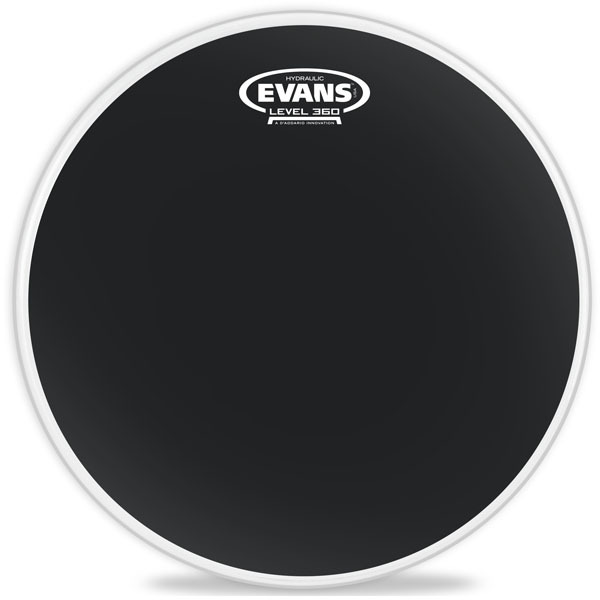 The excellent focus make Evans Hydraulic heads perfect if your drums are very hard to tune. 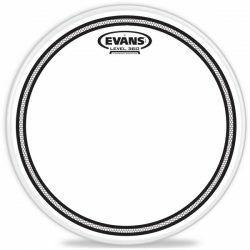 The two 7mil plies and thin oil layer means that Evans Hydraulic drumheads are very durable. These heads will last a long time, even with heavy hitting. 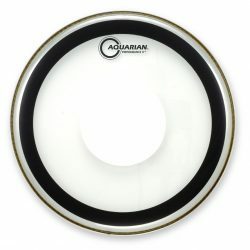 The added durability comes not only from the thicker design, but also from the oil layer absorbing some of the impact. 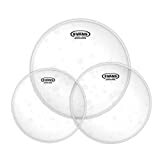 While these drumheads have a good attack, the very warm sound may get lost in loud environments without microphones on the drums (especially on toms). 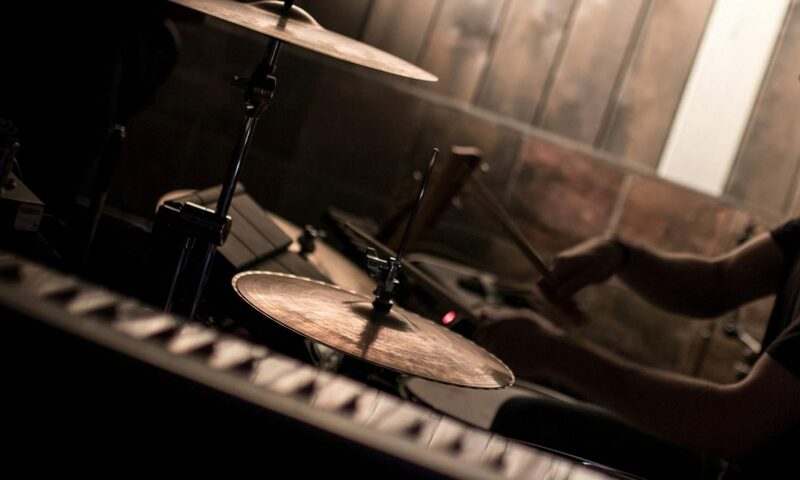 Without microphones in very loud situations, the audience will hear the bright attack, and not much else. These drumheads shine at medium volumes, where the short fat tone can be heard clearly. 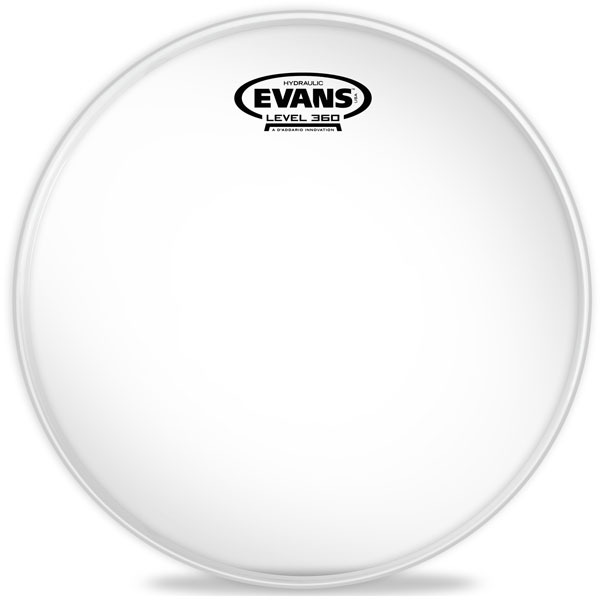 Evans Hydraulic drumheads are available for toms, snare drums, and bass drums. These heads come in clear (“glass”), blue, red, and opaque black versions. 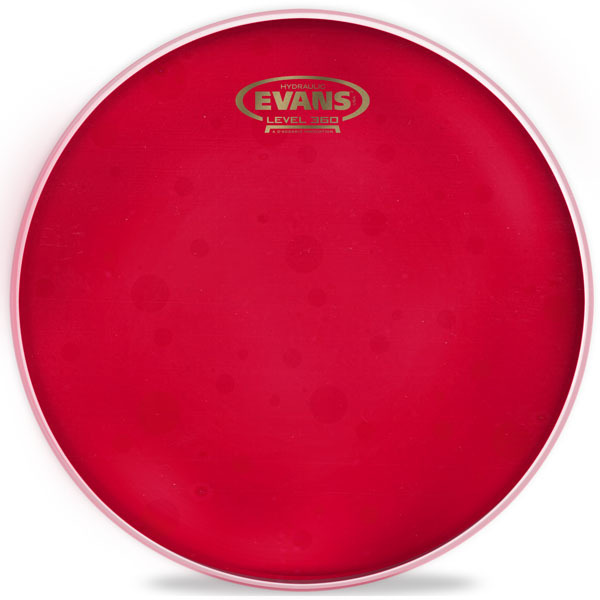 Red, Blue, and Glass tom and bass drum Hydraulic drumheads are transparent, and there are also blue and black coated versions for snare drums. 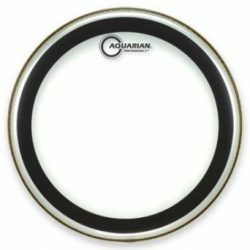 * Note: The Hydraulic Black snare drum head is made with one 6.5mil ply and one 7.5mil ply. 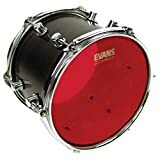 Evans Hydraulic Red Drum Head, 10"
Evans Hydraulic Red Bass Drum Head, 20"